Corddry said the long-hanging fruit has now been harvested and we are unlikely to see the double-digit efficiency gains with future design tweaks. 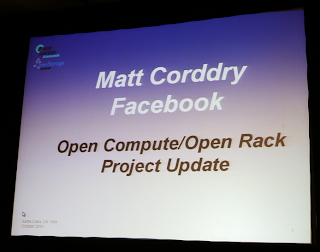 Instead, Corddry said Facebook is now undertaking a fundamental rethinking of its server types. Currently, the company deploys about six different types of standardized servers depending on which applications it is destined to serve. Every service has changing needs and it is standard practice to re-use equipment as application performance needs change. 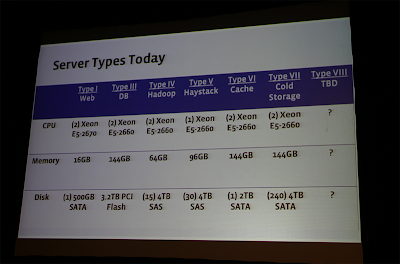 Looking ahead, Facebook is investing heavily in flash, although traditional disk is still good for cold storage. Corddry said one of Facebook's design principles is to keep storage in close physical proximity to the compute resource because their experience has shown that latency variation becomes an issue when these resources are virtualized and moved across data centers. The Facebook design mantra is now to disaggregate resources but keep them in the same rack. Keep it rack-local and keep it simple. To get there, the company is pursuing the concept of standardized "sleds" -- a modular shelf of high-density compute or storage that can be easily plugged into any available space in a rack. An interesting note is that Facebook typically has 20,000 servers per technician, so it is essential that these sleds can be easily plugged in or slid out for replacement. 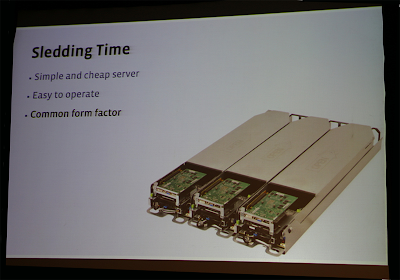 As far as the network is concerned, Corddry said 10 GigE server connections are great for now, but looking at the density of flash that can be packed into a 2U sled or the corresponding performance of a 2U high-performance compute sled, it is clear that the connections will need to be faster. Corddry said Facebook is quite willing to compromise distance for speed. Most of the connections will be across of the rack, meaning that 1.5 meter lengths should be fine. The company has previously discussed a silicon photonics partnership project with Intel. However, Corddry said Facebook is really agnostic about copper vs. fiber. The overriding design criteria is that all of the assets that go into the rack must be cheap enough to deploy at Facebook's truly massive scale. 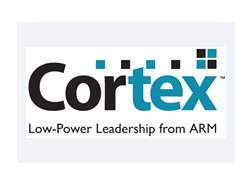 IBM has licensed a broad range of ARM Cortex processors for use in custom networking and communications applications. IBM's clients include leading companies that build network routers, switches and the cellular base stations. The ARM Cortex-A15, Cortex-A12, Cortex-A7 and Cortex-M4 processors, as well as the ARM Mali-450 Graphic Processing Unit (GPU), are included in the new license agreement. "IBM is a top provider of custom-built, system-on-a-chip technology to communications companies -- the silicon technology that has powered much of the mobile computing revolution," said Steve Ray, Vice President, Microelectronics, IBM. "With the addition of ARM's advanced 32-bit microprocessors and peripherals to our Power-based offerings, our clients will now have the broadest array of leading silicon technology and design services available – giving them the ability to create the next generation of communications hardware." "IBM's manufacturing leadership and expertise in semiconductor innovation means that this agreement will result in a highly competitive portfolio of custom ARM-based solutions being deployed by leading networking infrastructure companies worldwide," said Tom Cronk, executive vice president and general manager, Processor Division, ARM. 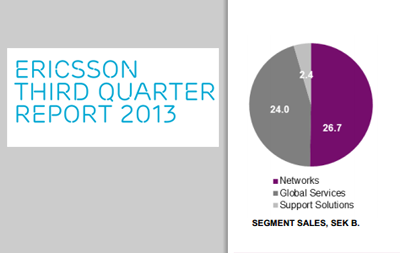 Ericsson reported Q3 2013 sales of SEK 53.0 billion, down -3% YoY, but up 3% YoY for comparable units and adjusted for foreign exchange. Operating income, including joint ventures was SEK 4.2 (3.1) billion with an operating margin of 8.0% (5.7%). Net income was SEK 3.0 (2.2) billion. "We are currently seeing sales coming under some pressure. In addition to FX, the major drivers for this development are the two large mobile broadband coverage projects, which peaked in North America in the first half of 2013. We also saw impact from reduced activity in Japan where we are getting closer to completion of a major project," said Hans Vestberg, President and CEO of Ericsson. "The 4G/LTE tenders in China continue and so far two of the major operators have made their choices. Despite having insignificant market share for 3G, Ericsson has been named technology partner for both these operators and we will now build on this initial footprint." "The pace is picking up in the European market with continued WCDMA/LTE investments and a major investment announcement by one of the large operators. Ericsson now sees growth in several European markets and margins are also improving as the network modernization projects gradually come to an end and we engage more in new capacity and LTE business." In North America, sales for Networks continued to decline QoQ as a result of the two large mobile broadband coverage projects which peaked in first half of 2013. In Western and Central Europe, sales grew YoY driven by network modernization in certain markets. In Northern Europe and Central Asia, sales grew both YoY and QoQ. In Russia, there is slow recovery based on 3G investments, but also deployments of LTE. Operators showed an increased interest in OSS and BSS solutions. Managed Services business continued to show good development. In Latin America, 3G network quality and initial LTE rollouts continued to dominate operator investments. Macroeconomic development in Brazil and Mexico slowed down and currency impacted business negatively. In North East Asia , sales declined YoY. Japan continued to be negatively impacted by currency and reduced activity as a major project nears completion. GSM investments in China continued to structurally decline. 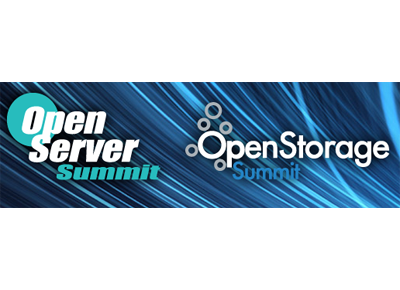 Tail-f Systems announced its NCS plugin for the Havanna release of OpenStack. This helps organizations to automatically provision a multi-vendor network in response to OpenStack Cloud Network configuration changes. 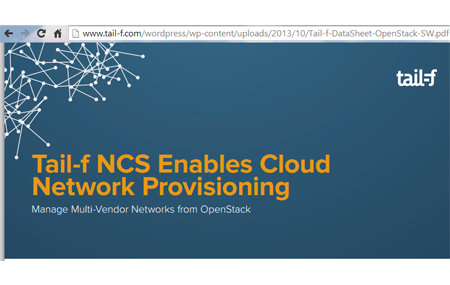 While current OpenStack plugins are constrained to single-vendors, Tail-f said its NCS plugin allows OpenStack networking to simultaneously utilize the variety of layer 2 networking technologies found in complex real-world data centers. The NCS OpenStack plugin contains a complete service model of the OpenStack Neutron topology as well as models for the underlying network topologies such as VLAN, GRE, VXLAN. NCS transforms generic request from OpenStack into device-specific configuration changes that are deployed to the network with transactional guarantees. The plugin is built using the new Modular Layer 2 (ml2) plugin architecture of OpenStack. Wind River released a new version of its open source, real-time, multi-core-enabled kernel virtualization software with numerous performance and live migration enhancements. 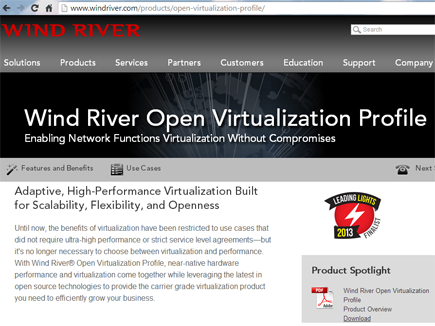 Wind River said its Open Virtualization optimizes open source Kernel-based Virtual Machine (KVM) technology to allow the deployment of network services on virtual machines without performance loss. The software delivers near-native hardware performance speeds, whereas standard KVM maximum latency is typically several thousand percent higher than native results. "As new devices continue to connect to an increasingly strained network, next-generation telecom equipment must scale to support technologies such as cloud and NFV in order to meet rising data traffic demands and address new service deployment challenges," said Davide Ricci, product line manager for open source platforms at Wind River. Vic Alston has resigned as President and CEO of Ixia and as a member of its board of directors. Ixia said its audit committee discovered that although Alston had attended Stanford University, he had misstated his academic credentials, incorrectly claiming to have received a B.S. and a M.S. in Computer Science, and had misstated his age and early employment history. The board has appointed Errol Ginsberg, Ixia’s chairman of the board, founder and former CEO as acting CEO (in addition to his current role as chief innovation officer), and Alex Pepe, senior vice president, strategy, as chief operating officer. Ixia also reaffirmed its revenue guidance for the third quarter ended September 30, 2013 and expects revenue to be above the midpoint of its previously stated guidance range of $112 million to $117 million.